Society of Automotive Engineers (SAE) is a global association of engineers and other technical experts. 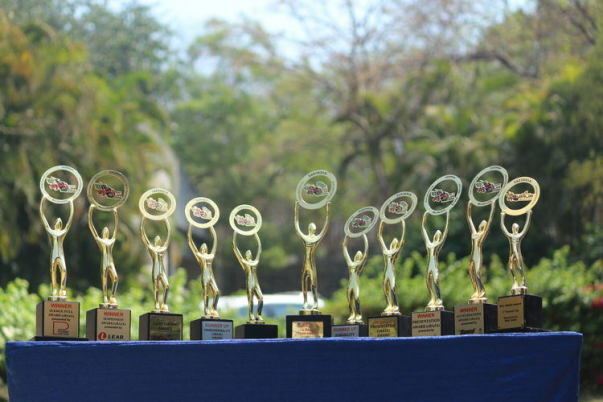 SAE organizes international competitions each year that covers various aspects of technology. 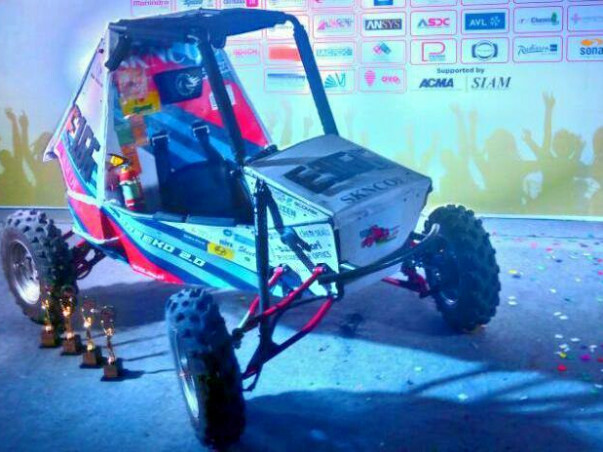 The e-Baja SAE India (Electric Baja) competition by initiative of our ex-president Late Dr. A.P.J Abdul Kalam. E-Baja provides a platform to leverage the onset of electric mobility in India. The m-Baja SAE India (Engine based Baja) is an intercollegiate design competition in which students from various universities compete design and build small All-Terrain Vehicle. 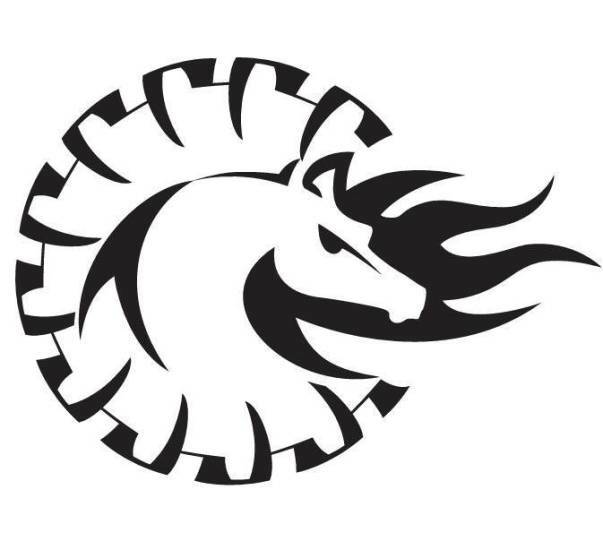 Team Stallion, from Smt. 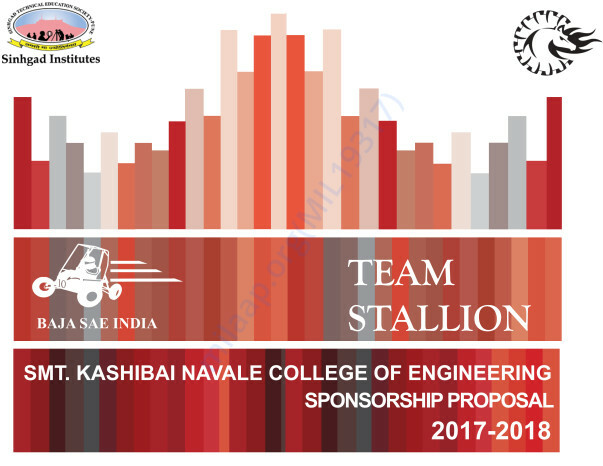 Kashibai Navale College of Engineering Pune, is a group of undergraduate students who design , manufacture and test an off road vehicle for SAE sponsored competition. We participate because we want to learn through hands on experience and not just classroom sitting. It is a team fueled by passion, driven by desire, one that has grown in strength ever since its inception. In order to design and build a competitive vehicle, we need your support, whether it be your resources, time or a monetary donation. 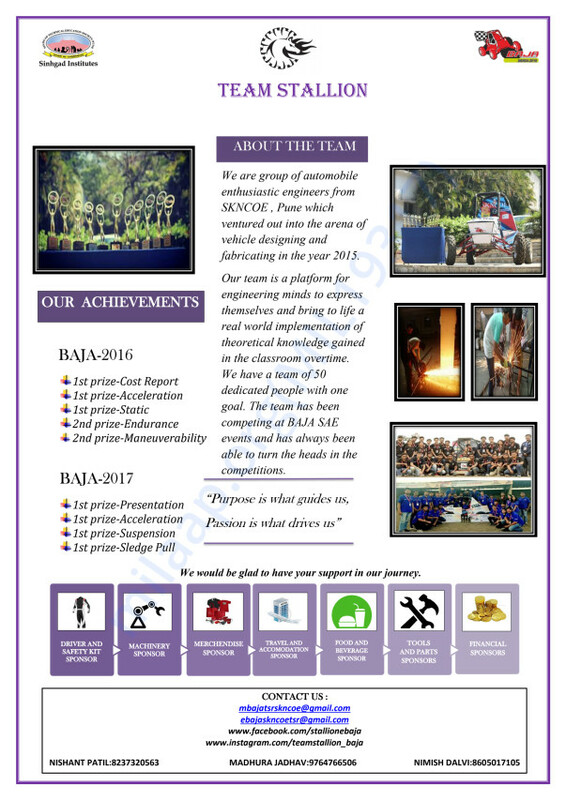 By sponsoring our team you allow us to acquire better parts, provide access to better manufacturing processes and offer invaluable information that will help us continue to grow and improve as a team and as engineer.